Arcana 1 is the first volume in a series of books designed to mount an archive of the present through a collection of emblematic documents of the 21st century, culled from the media, advertising, and the internet. 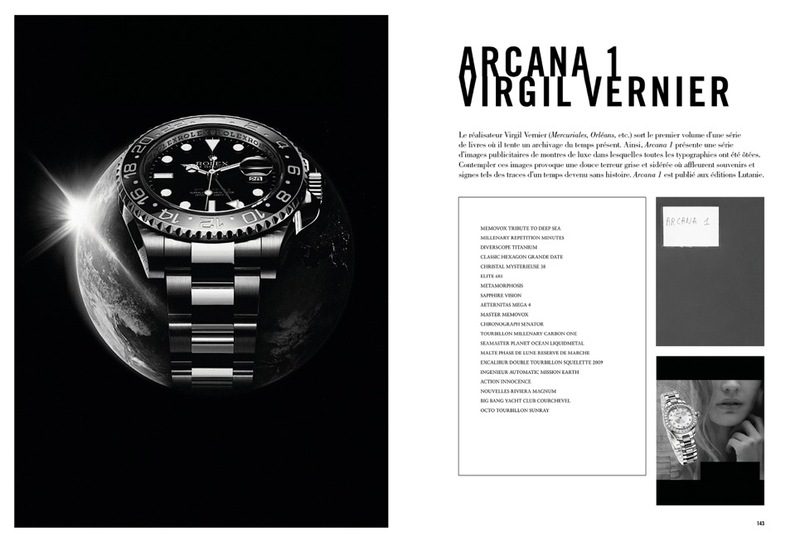 Arcana 1 gathers images of luxury watches cut out from magazines, with no typographical mention so to reveal the peculiar aura of these objects. Based on the Nordic myth of Odin, this volume investigates the contemporary representation of the male body, by seeking out the limit of the fantasy of omnipotence and of the sexualization of masculinity. Arcana 3 investigates feminized advertizing imagery. The dream of adornment, whiteness and eternal youth appears derived from Germanic tales reinterpreted by Disney.